Umbrella insurance refers to a liability insurance policy that protects the assets and future income of the policyholder above and beyond the standard limits on their primary policies. It is distinguished from excess insurance in that excess coverage goes into effect only when all underlying policies are totally exhausted, while umbrella is able to “drop down” to fill coverage gaps in underlying policies. Therefore, an umbrella policy can become the primary policy “on the risk” in certain situations. 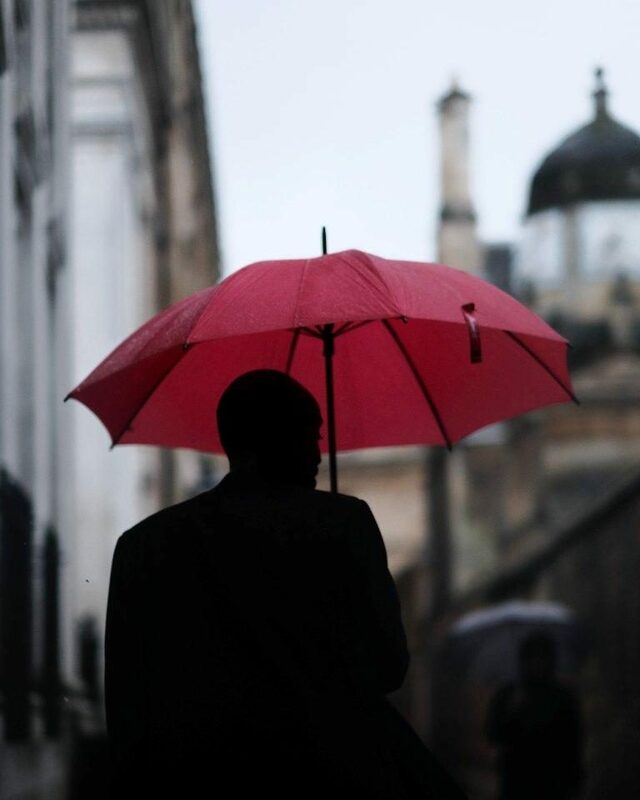 The term “umbrella” refers to how the policy shields the insured’s assets more broadly than primary coverage. Typically, an umbrella policy is pure liability coverage over and above the coverage afforded by the regular policy, and is sold in increments of one million dollars. The term “umbrella” is used because it covers liability claims from all policies underneath it, such as auto insurance and homeowners insurance policies. For example, if the insured carries an auto insurance policy with liability limits of $600,000 and a homeowners insurance policy with a limit of $500,000, then with a million dollar umbrella, the insured’s limits become in effect, $1,600,000 on an auto liability claim and $1,500,000 on a homeowners liability claim. In common law jurisdictions, slander refers to a malicious, false, and defamatory spoken statement or report, while libel refers to any other form of communication such as written words or images. Most jurisdictions allow legal actions, civil and/or criminal, to deter various kinds of defamation and retaliate against groundless criticism. Related to defamation is public disclosure of private facts, which arises where one person reveals information that is not of public concern, and the release of which would offend a reasonable person. “Unlike [with] libel, truth is not a defense for invasion of privacy. False light laws are “intended primarily to protect the plaintiff’s mental or emotional well-being. If a publication of information is false, then a tort of defamation might have occurred. If that communication is not technically false but is still misleading, then a tort of false light might have occurred. Note: A person who harms another’s reputation may be referred to as a famacide, defamer, or slanderer. In United States constitutional law the expectation of privacy is a legal test which is crucial in defining the scope of the applicability of the privacy protections of the Fourth Amendment to the United States Constitution. It is related to, but is not the same thing as a right of privacy, a much broader concept which is found in many legal systems. A subjective expectation of privacy is an opinion of a person that a certain location or situation is private. These obviously vary greatly from person to person. An objective, legitimate or reasonable expectation of privacy is an expectation of privacy generally recognized by society. Examples of places where a person has a reasonable expectation of privacy are person’s residence or hotel room and public places which have been specifically provided by businesses or the public sector to ensure privacy, such as public restrooms, private portions of jailhouses, or a phone booth. In general, one cannot have a reasonable expectation of privacy in things held out to the public. A well-known example is that there is no privacy rights in garbage left for collection in a public place. Other examples include: account records held by the bank, a person’s physical characteristics (including blood, hair, fingerprints, fingernails and the sound of your voice), what the naked eye can see below in public air space (without the use of special equipment), anything in open fields (eg. barn), odors emanating from your car or luggage and paint scrapings on the outside of your car. While a person may have a subjective expectation of privacy in his/her car, it is not always an objective one, unlike a person’s home. The privacy laws of the United States include the notion of a person’s “open fields”; that is, places where a person’s possessions do not have an objective expectation of privacy. Anyone may arrest a person if in possession of an arrest warrant issued by an appropriate court. In the United States, this includes bounty hunters (agents of bail bondsmen) acting under the authority of a bench warrant to bring a criminal defendant who has skipped bail to court for trial. A police officer, or a person authorized by a jurisdiction’s police powers act, may arrest anyone whom the officer has reasonable and probable cause to believe has committed any criminal offence. However, in the case of a misdemeanor, summary conviction offence, or non-criminal offence (such as a municipal by-law offence) the officer may arrest the suspect only long enough to identify the suspect and give the suspect a summons to appear in court, unless there is reason to believe they will not appear in answer to the summons. Any person may arrest someone suspected of committing a felony or indictable offence, as long as the arresting person believes the suspect is attempting to flee the scene of the felony. A person cannot be arrested on suspicion of committing a felony well after the fact unless the arresting officer possesses an arrest warrant.